Much of Newark's charm lies in its wealth of cultural attractions. The New Jersey Performing Arts Center (NJPAC) is a state-of-the-art venue where the leading lights of stage and song star in productions celebrating art forms ranging from gospel to modern dance. The Grammy Award-winning New Jersey Symphony Orchestra makes its home at the center, which anchors a downtown arts district filled with major cultural institutions. Newark Symphony Hall is headquarters for the African Globe Theater Works, a leading stage company, as well as a complete array of performance offerings. At the Newark Museum you will see an eclectic collection of art and artifacts, including North America 's most extensive collection of Tibetan artifacts. Plus, children are sure to enjoy the museum's newest attraction, a hands-on natural science exhibit designed especially for families. Nearby is the Newark Public Library, which hosts frequent events and exhibits highlighting literature and local history, and the New Jersey Historical Society, a haven for anyone interested in relevant perspectives of past events. Just down Broad Street is the new gallery opened by Aljira Center for Contemporary Art, which showcases work by established and emerging African American artists. Aljira is part of the city's growing colony of artists. You can see their creations at such destinations as the Sumei Multidisciplinary Arts Center , where artists of all disciplines perform, exhibit their work and interact with the public to exchange cultural ideas and practices. In Newark 's University Heights section, the Rutgers University Institute of Jazz Studies draws jazz devotees and scholars with an unparalleled collection of memorabilia and recordings. Further north is Branch Brook Park, a masterpiece of landscape architecture. Each spring the park explodes with the color of cherry blossoms that line its rolling hills in a spectacle that draws visitors from across the globe. Travelers here can also enjoy aman-made wonder: the Cathedral Basilica of the Sacred Heart, an inspiring example of French Gothic architecture that towers over the park's greenery. Why take your own car into the Newark city? Arrive in style with one of our late model luxury Limousines. Its a great alternative to parking in Newark or taking mass transit. Our luxury Lincoln Town Car sedans are the most economical way to travel and best of all you'll arrive and depart on your own schedule without the inconvenience of waiting for anyone or anything. You may also choose one of our elite Mercedes Benz sedans or pamper yourself and the family with the luxury and spaciousness of a Stretched Lincoln Twon Car Limousine. We also have luxury Chevy Suburban SUV’s and Vans to choose from so call us today at 201.333.6666 and we'll put the best Newark transportation package possible to suit your every need. 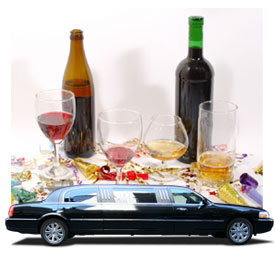 Hoboken will leave you wishing the night lasted longer that it goes for your limousine tour. Hoboken is the place to be with its happening nightlife, the city comes alive when everyone else sleeps. With bars, lounges and night clubs all along River Street, Washington Street and Park Avenue overlooking Manhattan across the beautiful Hudson, where else would you rather be? The food is fantastic and ranges from seafood, stakes, raw sushi bar and of course martini lounges. Dance to the hottest DJ's around spinning the newest beats. Whether you're into bar hopping, the club and lounge scene or enjoy romantic diners in a fancy riverside restaurant overlooking Manhattan skyline, visiting Hoboken is a must for you. A-1 Carma Limousine would gladly provide you and your guys, girls or the loved ones with reliable transportation and a designated driver for the night. 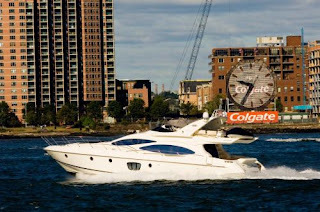 A-1 Carma Limousine has been providing luxury limousine service to Hoboken for many years. Its perfect for birthdays, anniversaries, bachelor or bachelorette parties, or just a night-on-the-town to celebrate any occasion imaginable. Getting ready for Super Bowl XLII? A-1 Carma Limousine would like to offer you and your party our luxury car/limo services for this exciting night. Whether you need a ride for 3 people or a party of 20, just book a ride with us and we’ll make sure that you get there on time and safely. Our fleet consists of Town cars, Limos and Super Stretch Limos, Hummers, Escalades…We also have vans to accommodate any request that you might have. Book online 24/7 or call 201-333-6666 to confirm your reservation today. Leave the driving to us and enjoy a great Super Bowl Sunday!